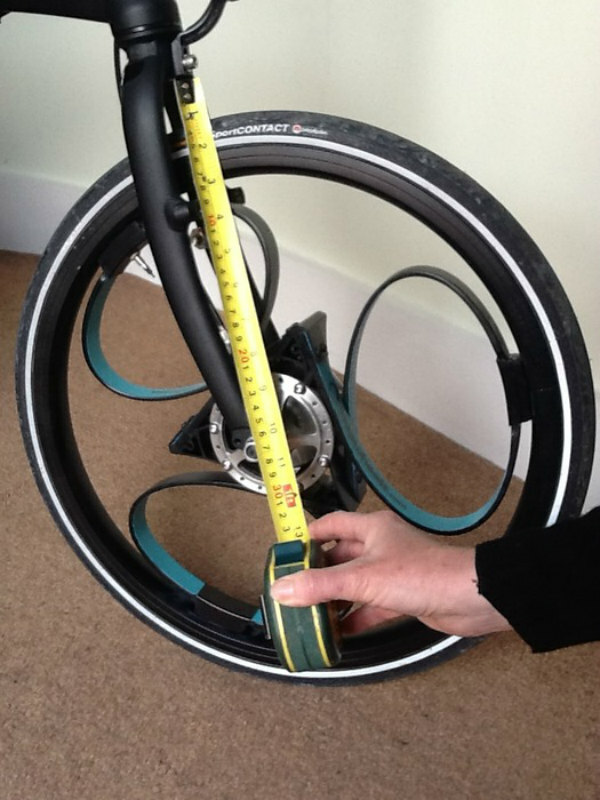 After few years of experiment, designer Sam Pearce invented LoopWheels which is a reinvention of the 20" bicycle wheel for maximum comfort over bumps and less vibration from the road, even on a folding bike. 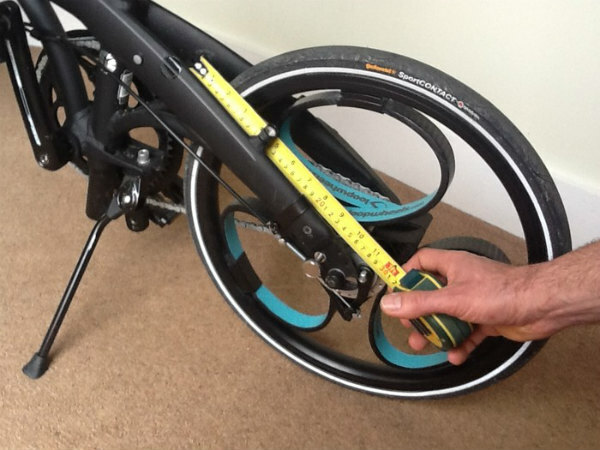 Loopwheels are a brand-new 'pat pending' 20" bicycle wheel with integral suspension. 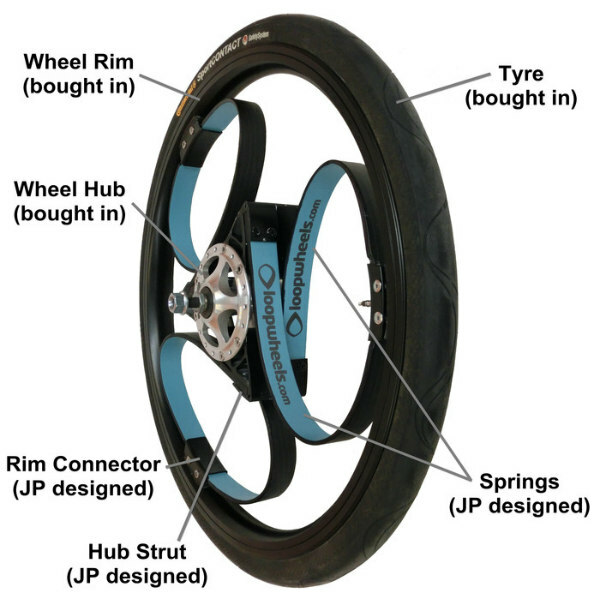 A spring system between the hub and the rim of the wheel provides suspension, cushioning the rider from bumps and potholes in the road. 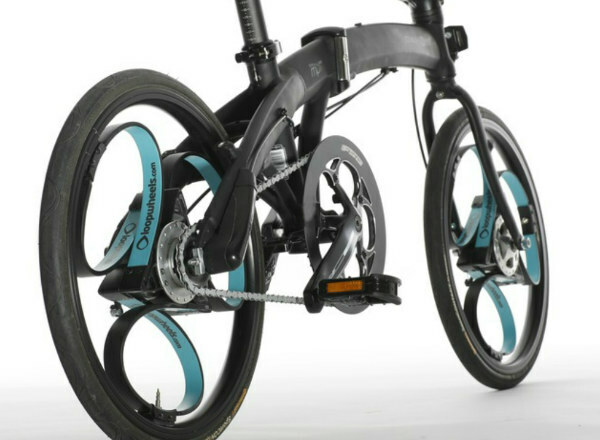 Loopwheels have a conventional hub with a hub brake and hub gears. 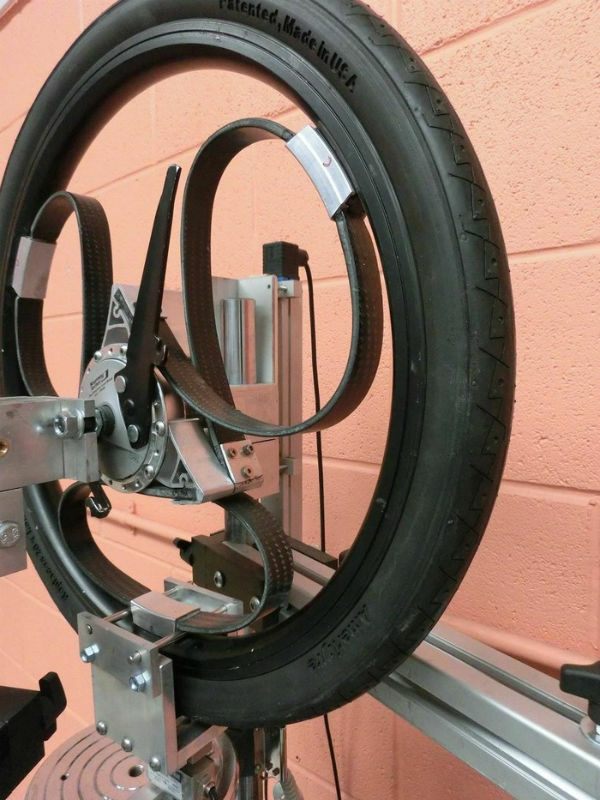 But the spokes are replaced by a spring system. 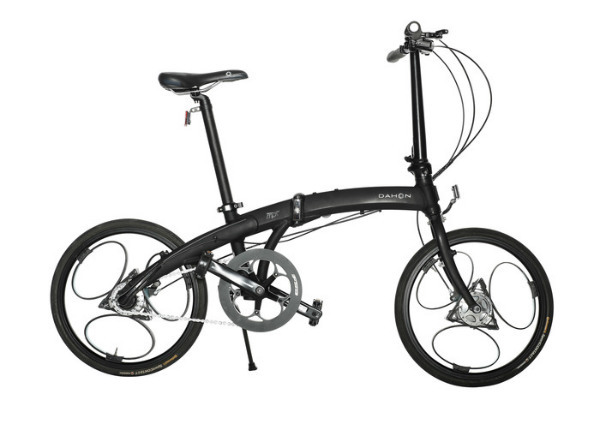 This gives an amazingly smooth, comfortable ride compared with a conventional spoked wheel. Currently seeks funding at kickstarter.